That’s why Voodoo was transformed out of its matt black world and festively decorated for this occasion. From the meeting points, it was a merry rally from the north and south of Vienna to the meeting point at Schwarzenbergplatz. 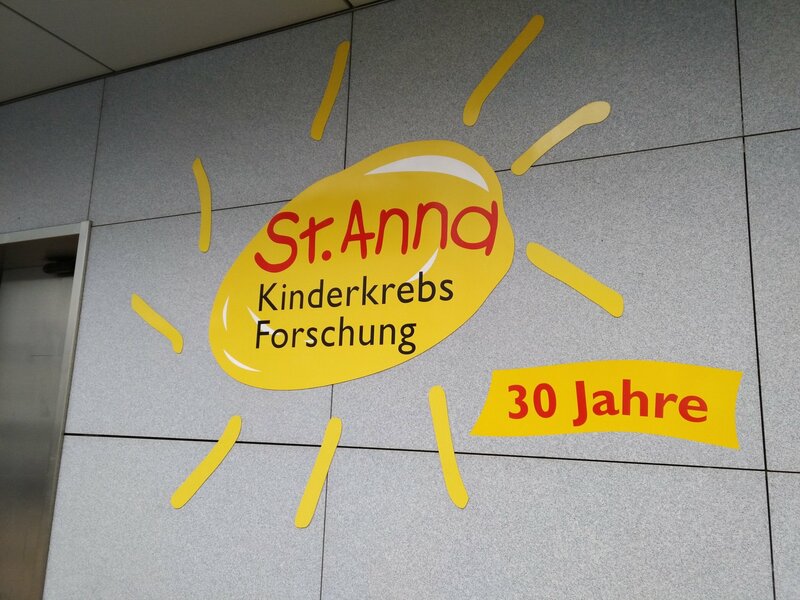 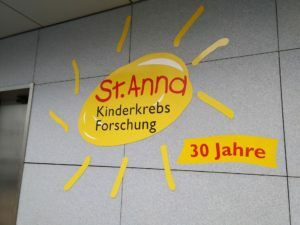 Of course the most important target of our trip was the St. Anna Children’s Cancer Hospital. 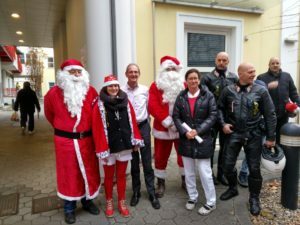 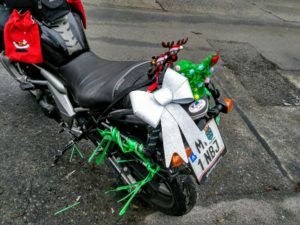 Arrived there, the presents were unloaded, which were bought with the donations of the FB group (Christmas biker Hallowheeler…). 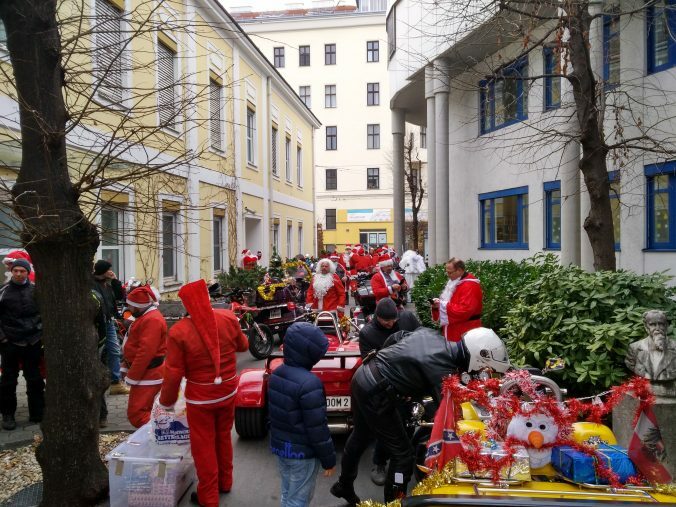 Then there was the obligatory Christmas singing and the punch brewed by the kitchen of the St. Anna Children’s Hospital. 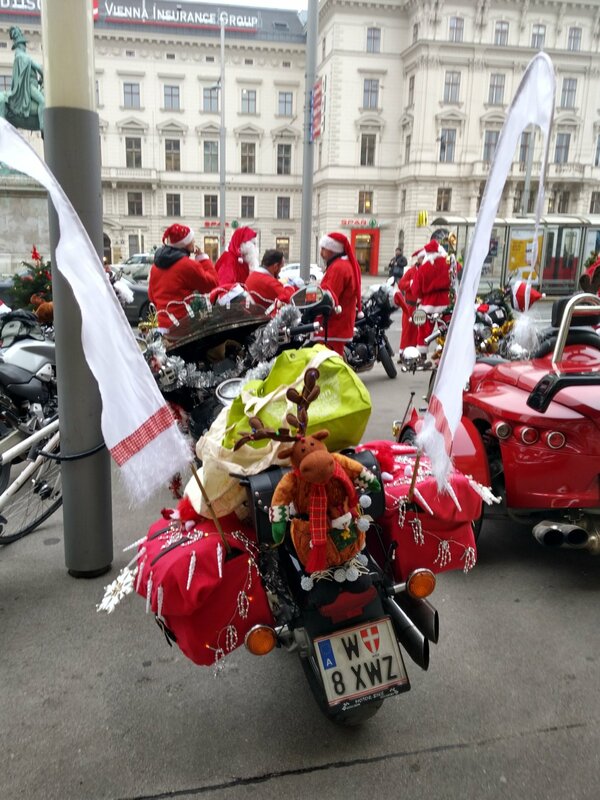 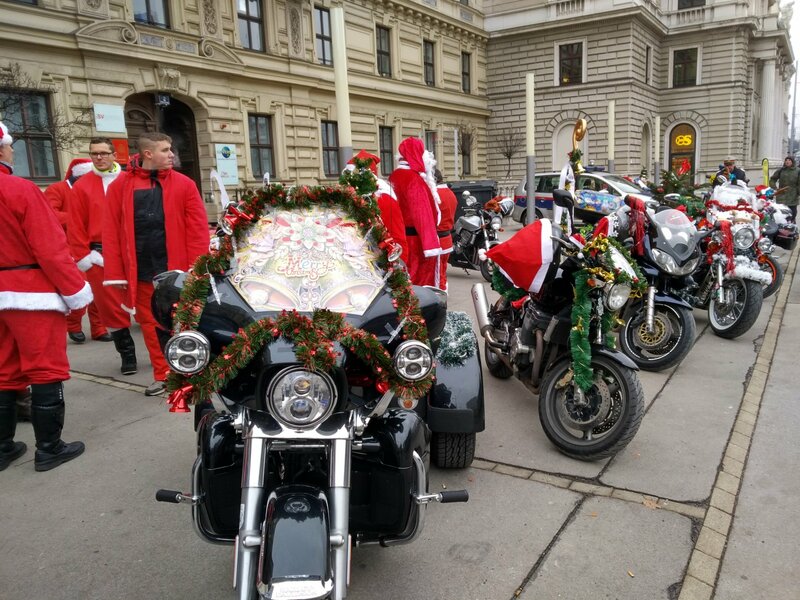 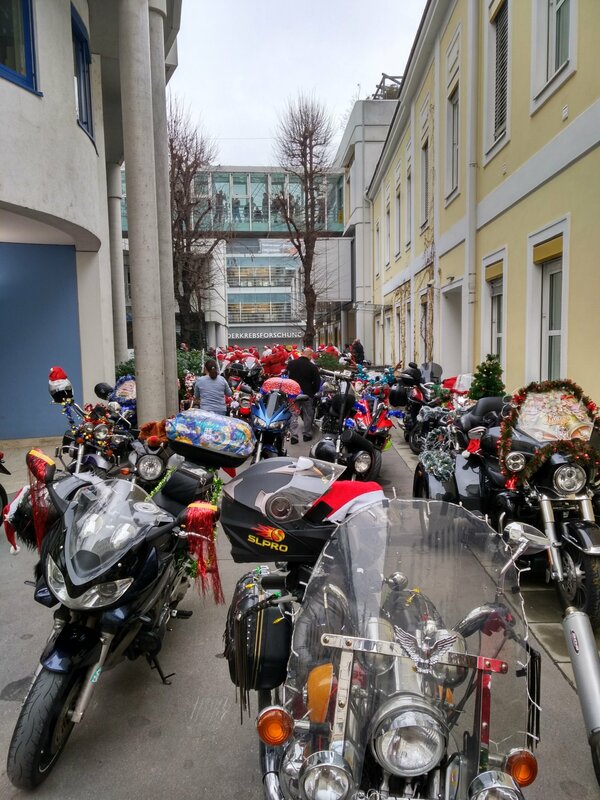 After the carols in the inner courtyard of the hospital, we returned to the starting point at Schwarzenbergplatz with our bike convoy. 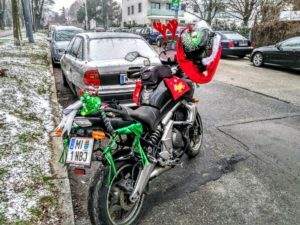 At the end, but not last, a lovingly cutted video of Koshro Kashanipour, which he made available to me for this post. 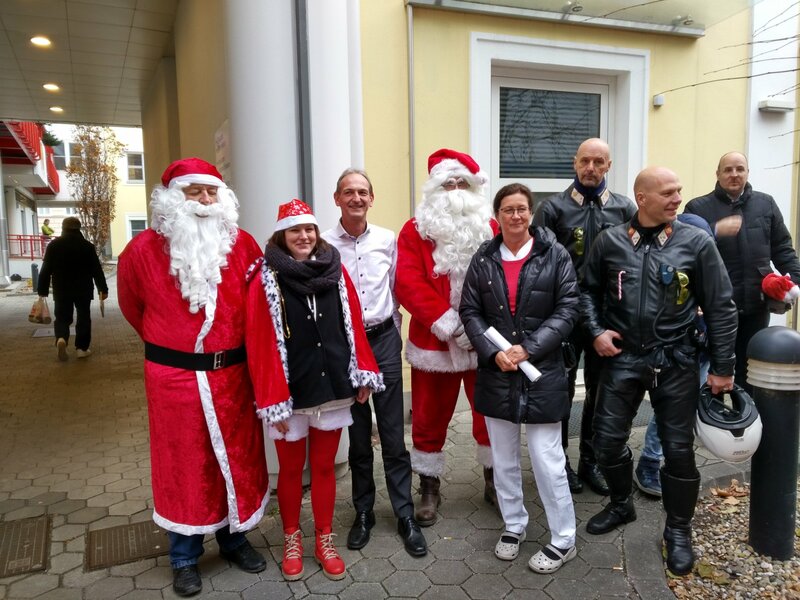 Thank you Khosro!